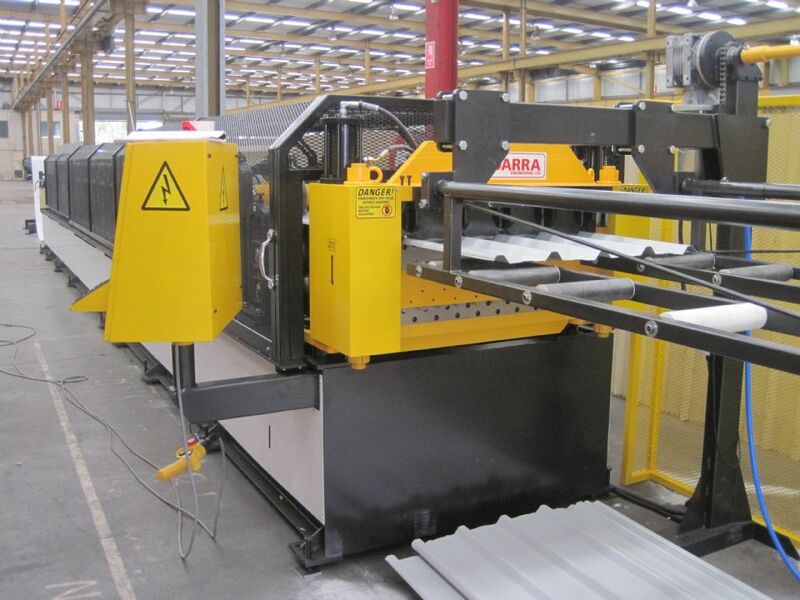 From Roofing to Sandwich Panels, Rainwater to Metaldecking, Purlins to Sectional Door lines - Tandarra has manufactured all of the above when it comes to Roll-forming lines. Below is a selection of some of the different product lines that we have produced. If you dont see what you are looking for below, simply contact us through the Enquire Now page with your specific requirements. Roofing & Cladding - Whether Sinusoidal or Trapzoidal, or a combination of both on a Double Deck roll-former. Tandarra has successfully manufactured numerous commerical and residential roofing and cladding profiles, in both the screw and conceal fix formats. We have also been involved in the production of roll-forming lines on new and developmental profiles including Dimond DP955 that has been met with glowing reviews in the New Zealand commercial market due to its asthetic appearance combined with impressive spanning numbers and core strength. Rainwater - Gutters, Fascia, Downpipes (Square & Round) and Ridging - we have done them all. Although generally smaller machines, we ensure that our Rainwater systems are still manufactured with quality and longevity in mind. Metal Decking / Composite Flooring - Tandarra has a vast experience producing Metal Decking lines, and has successfully manufactured multiple examples of more than 15 different decking variations that can be found throughout New Zealand, Australia, Ireland, Wales, England and Canada. Many of these roll-forming lines have also been fitted with our Crush Press technology that reduces the need for end caps prior to the pouring of concrete. We are currently working on a new Crush technology that we hope will further improve the efficiency of some previously un-crushed profiles. More details to follow..
Purlins - Tandarra has manufactured a number of Purlin Mills, for both the C and Z profiles, in both fixed and variable width formats. Sectional Doors - Our full sectional door production line allows a customer to roll-form a plain or panel pressed Garage Door, complete with Muntons and Tracks, ready for installation. The line caters to variable width doors and a wood grain press can also be added if required. Industrial Sections - These range from Top Hat sections, through to the mating shells used in the manufacture of Speedwall panelling. 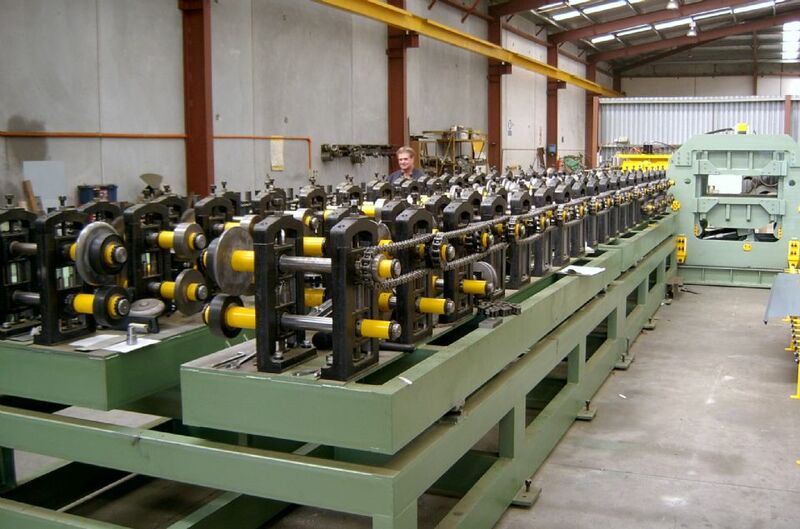 Below are a sample of some of the Roll-Forming lines we have manufactured.